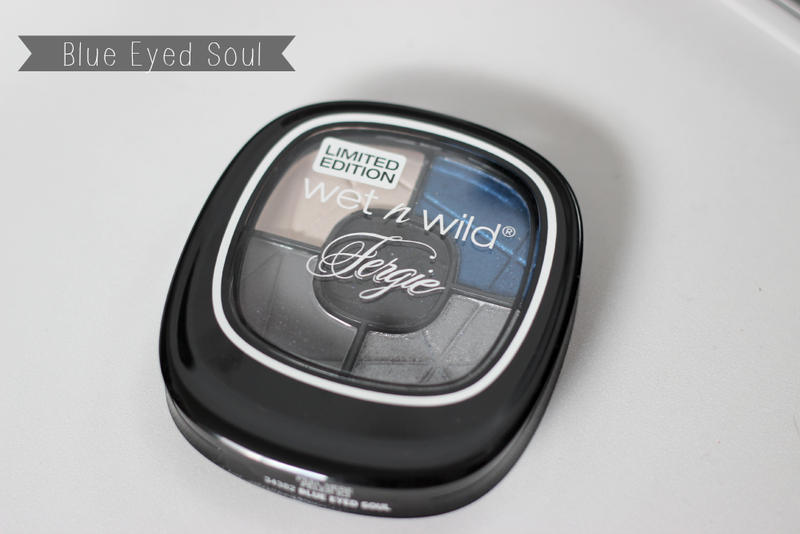 Hey loves, today I have an exciting post of the new Wet N Wild Fergie Summer Collection 2014. I went to Walgreen's to see what was left of this collection, and luckily they had two palettes left, (there were two others I believe that were sold out) plus they had all the lipsticks in stock as well which was something I wanted the most. 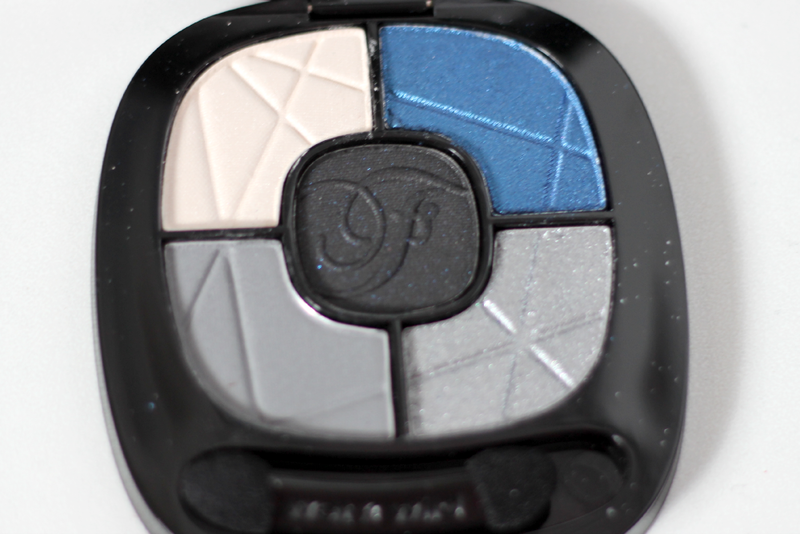 But today I am going to be posting about the two palettes I was able to get and for this post I will be talking about Blue Eyed Soul. 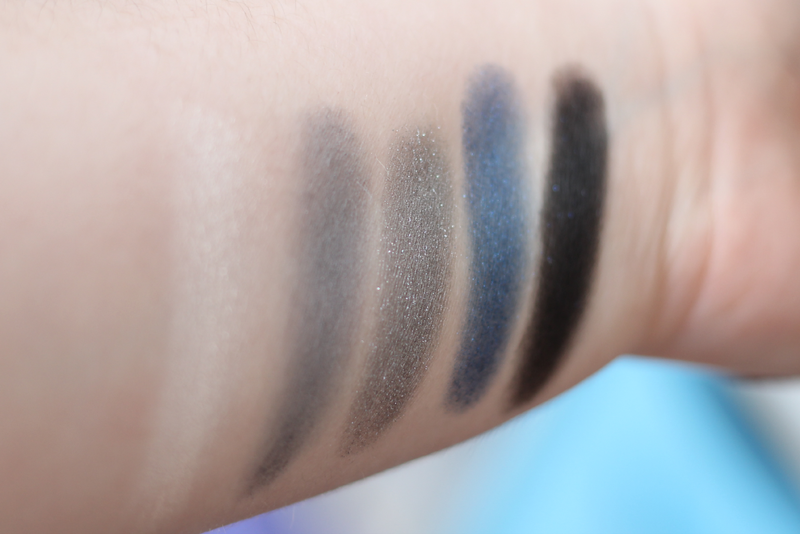 Blue Eyed Soul comes with 5 different eyeshadow colors to make a beautiful smokey eye or a look with a pop of blue. I am a fan of gray so when I saw this palette I was super excited. Which this palette is a limited edition palette, so if you want it, I'd go look and see if you can find it before its sold out. Starting from left to right, in a circle motion, we have a matte cream color, then we have a medium shade blue with shimmer, then we have a light gray with shimmer, and then we have a medium shade gray (which is my favorite) because it is a matte shade. Then of course in the middle we have a black shade. Some of the colors were fairly pigmented. The gray matte shade was the best color-off I would say, and as well as the shimmery gray. The white came a crossed a little chalky and I wish the blue was a little bit more pigmented. 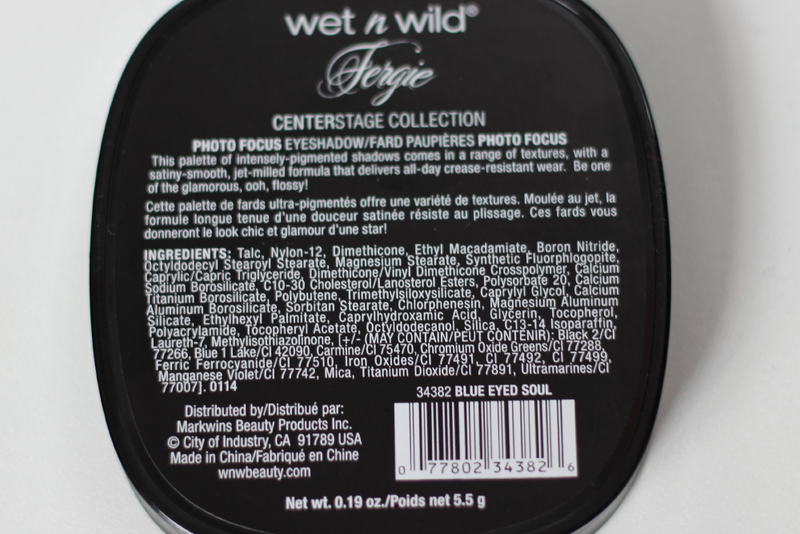 The black was actually more pigmented then most of the Wet N Wild palettes, so I was impressed with that. I think the looks you could make with this palette would all be gorgeous. Overall I would have to give this palette a B- rating. It was a decent palette for the price and for being drugstore. If you are looking for a nice smokey type palette, I would recommend you trying this one out. This palette would make a beautiful smokey eye! :-D Great review!